Although our concern is the plight of Christian communities suffering from persecution, we also endeavour to help all those who are suffering, regardless of their faith or ethnic origin. L’Œuvre d’Orient is a French charity supporting eastern Christians for 160 years. Located in Paris and placed under the patronage of the Archbishop of Paris, L’Oeuvre d’Orient is managed by Mgr. Pascal Gollnisch and chaired by Vice-Admiral Pierre Sabatié-Garat. The Charity backs 60 religious congregations and supports 400 educational establishments in 23 countries. In 2015, thanks to the generosity of its donors, it funded 1 480 projects throughout Lebanon, Iraq, Syria, Israel, Egypt, but also Ethiopia, India, Ukraine amongst many other countries. 88% of donation are spent in aid. Financial results are published yearly. Who are the Eastern Christians ? Many of the 23 Eastern Catholic Churches – Maronite, Chaldean, Armenian, Coptic, Greek-Melkite, Greek-Catholic, Syriac, Syro-Malabar …- trace their roots back to apostolic times. Today, they account for 26 millions believers, around half of whom live in the Middle East. In the face of extreme violence and discrimination, with many people being forced to leave their homes, Christian communities accross the region are in danger. L’Œuvre d’Orient has recently decided to grow its network out of France, and first in UK, through the establishment of a British based charity, Fellowship and Aid to the Christians of the East (registration in progress). Like its mother charity, Fellowship and Aid to the Christians of the East supports Christians and, more generally, people in distress in eastern countries and the Middle East. Humanitarian aid, Education, Medical care, Pastoral care. HOW DOES THE CHARITY OPERATE ? > The charity raises funds in the UK to support project proposed by the local institutions and agreed by l’Oeuvre d’Orient (such as (e.g.) a hospital in Syria, school buses in Iraq, an orphanage in Egypt…). > l’Oeuvre d’Orient ensures and controls that all funds transferred are properly used for the dedicated project. > Just as L’Œuvre d’Orient, Fellowship and Aid to the Christians of the East is committed to the greatest transparency and financial rigour. > St LOUIS HOSPITAL (Filles de la Charité) – Damascus (SYRIA): £ 9 600 to feed displaced people and £ 17 500 to buy medical equipment. 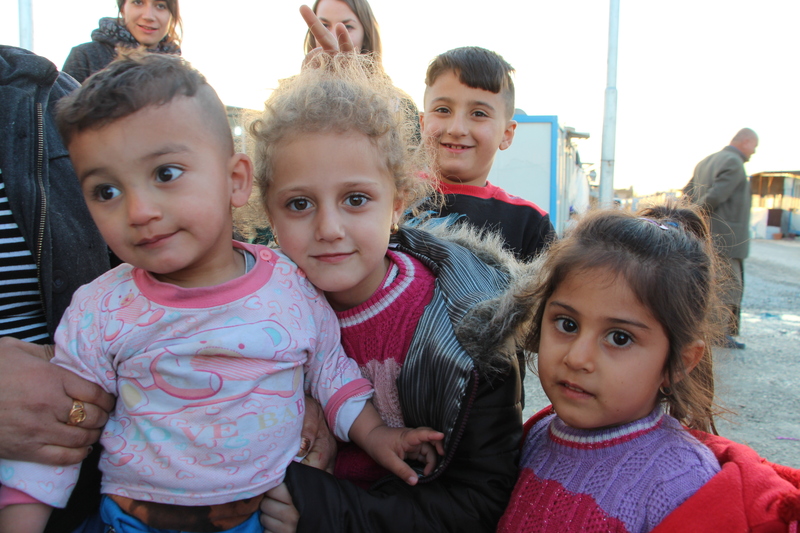 > ST JOSEPH SYRIAC PARISH – Suleymanieh (IRAQ): £ 35 400 to provide transport for refugees looking for employment or attending schools. > HOLY SAVIOUR PARISH – Bocho (ETIOPIA): £ 8 300 to help provide water to the village. FELLOWSHIP AND AID TO THE CHRISTIANS OF THE EAST : HOW TO HELP ?